Did you get to hear about The Packing Party by The Minimalists? Its great for those who are moving to a new place and those who are have their Home full of stuff and no breathing space. Packing away things is one of the tips by every Minimalist to clear the clutter. Remember, the stuff you keep needs rearranging every now and then. The less it would be, less is the time spend in shuffling and cleaning the things. Start by taking 4 Bags/Containers – 1 for Give Away items, 1 for Selling away, 1 for Bin and last for Packing away the stuff you don’t need now but believe that you would, in Future. Note– Keep the last bag/container as small as possible. Pick up any 1 room. Take those 4 bags along. Keep putting the things in the respective Bags until you are finished with every single thing in the Room. What if I would need this in Future and may not have the capability to re-buy it or it may cost more. This may be true with Baby gear when you think they may be put to use for next Baby. But not if you haven’t used them from more than an year now. Hi Upasana! Your blog took me back to my days in the USA. We did a lot of relocating and ‘moving out and moving in´ business for the 6 years we were there. I can vouch for the fact that this post is on-point. I practised close to what you just listed so beautifully. If you are interested, I would like you to read my day´s challenge post https://pensense.blogspot.in/2017/04/p-is-for-practice-atozchallenge.html. Keep writing and all the best for your challenge. Thanks Tina. Your writings are beautiful. 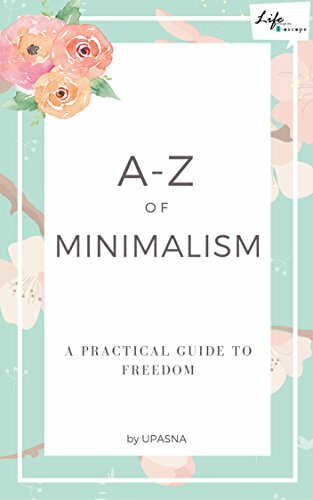 Hope this series help others like me who wish to simplify their lives.